When Edison invented the phonograph in 1877, telephone inventor Alexander Graham Bell was stunned that this opportunity had slipped through his fingers. In the 1880's, while Edison was pre-occupied with his electric light research, Bell founded a research laboratory where his cousin Chichester Bell and physicist Charles Sumner Tainter worked on improving the phonograph. 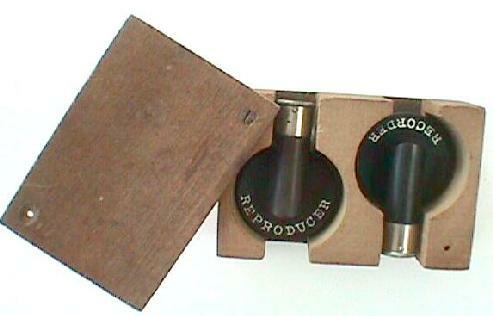 They dubbed their version the "Graphophone" and designed it to play 6" long records consisting of a cardboard tube with a thin ozocerite wax coating (see photograph below). There was no mandrel -- the record fit between plungers at each end. Edison was outraged at this appropriation of his invention, and set about making his own 'perfected' phonograph, the Class M, in 1888. 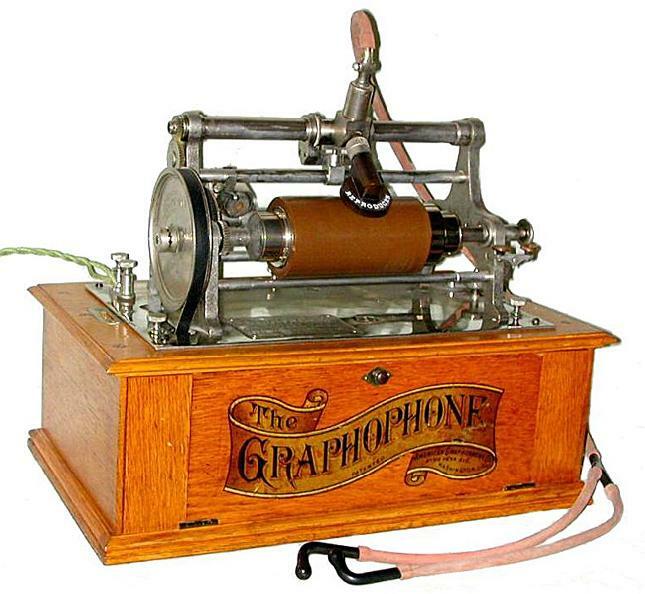 The Graphophone of that era had a foot-powered sewing machine treadle as its motor, and in competition with the Edison Class M it was a dismal failure. By 1894 the company had a large backlog of unsold Graphophones. These were recycled by taking the upper works from treadle model Bell-Tainters and fitting them to new cabinets and motors. The Type K was made in early 1895, first with a battery-powered electric motor as in this example, and later with a newly-designed spring motor. A removable mandrel to fit the now-standard Edison cylinders was supplied with the Type K. (The entire mandrel has to be removed to put on a record, a very inconvenient arrangement.) 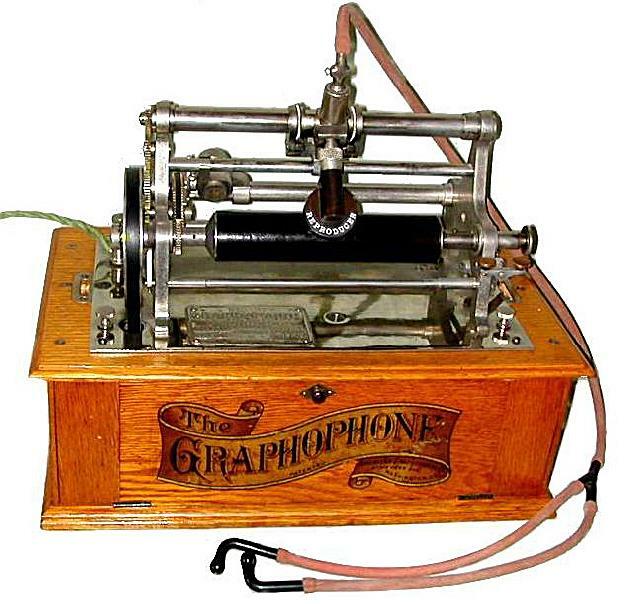 At $150 these were not big sellers, and it wasn't until the totally new Type N of late 1895 (priced at an amazingly low $40) that the Graphophone finally took off in the market. Very few Bell-Tainter styles were sold and today they are even rarer than the elusive Edison Class M.